The Escape Ministries’ building is unassuming. The plain bricks covered in artistic graffiti, the red paint chipping from the heavy door, it is a small building that’s easy to overlook. 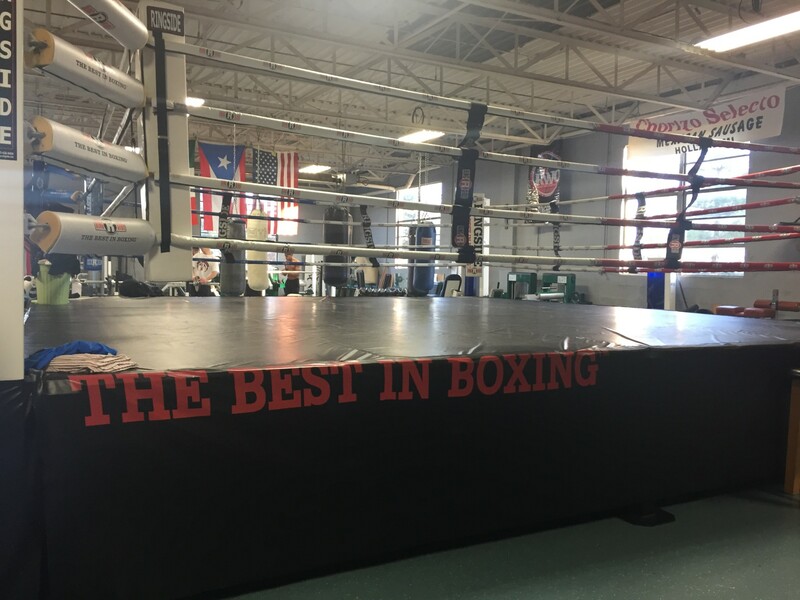 But appearances are deceiving; on top of being a safe haven for troubled youth, Escape Ministries is home to one of the few boxing gyms in Holland: Westside Boxing. The gym’s door is hidden on the side of the building; the entrance is like a secret gateway. Just through the paint-chipped door, a dim hallway leads to the gym, a spacious room containing loud, pulsing music. Black-framed photos and posters of coaches and boxers cover the cement block walls. The booming music and the scent of sweat and hard work are all-encompassing. Punching bags, and the Mexican, American, and Puerto Rican flags, hang from the ceiling. Graffiti art of uplifting words like “believe” and “EMPOWER” span the walls. Besides the weight racks and exercise machines, a boxer and coach engage in a shadow boxing match in the large black boxing ring that takes up a majority of the floor space. The small unassuming gym is a refuge for many at-risk teens in the area. Ruben M. Silvas, a boxer in the mid-1980s and now a dedicated coach, coached out of his backyard in 2011. Silvas and his brother trained boxers but were looking to expand their gym and discover more talent. 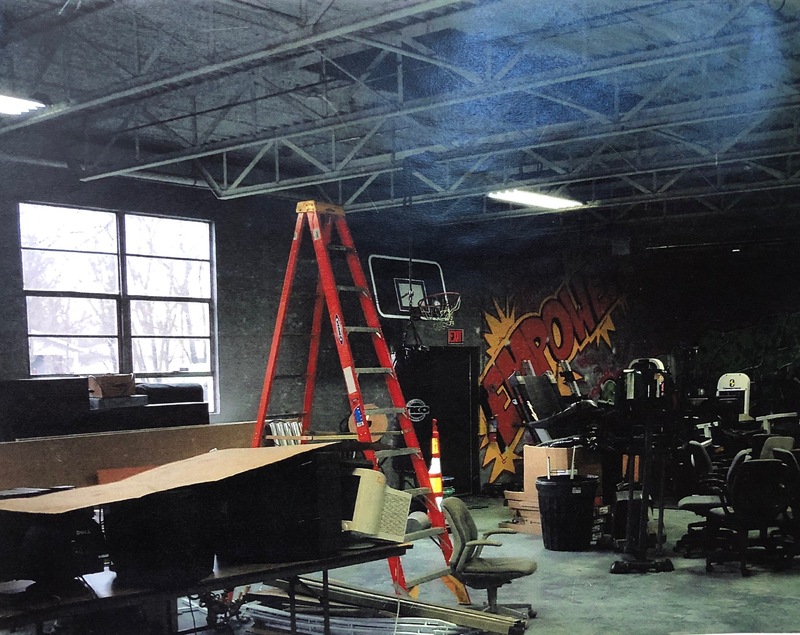 In 2013, an opportunity presented itself when an Escape Ministries pastor offered a spare room as a gym space, and Westside Boxing was born. At Westside, Silvas makes little for his coaching services. Each week, he accepts $50 from Escape Ministries to train athletes for five hours a day, five days a week. He spends that money on gas since he lives in Grand Rapids, a 40-minute commute he takes twice a day. But for Silvas, it’s worth it. “Westside Boxing Club took me from the bad things I was doing every day outside of the ring, it helped me stop smoking marijuana, and also changed my outlook on life in a positive way,” Soto said. Although many pass by the Westside Boxing gym without a second glance, amazing relationships are formed, changing and saving lives behind its doors. “Westside Boxing is a release program for when you’re frustrated, aggravated, or facing things you don’t know how to deal with. Me and every kid that’s in there, we all have different relationships, but I tell every kid to come here when they’re going through problems in life and that I will always try to help them work through it,” Silvas said. A rainy life-altering night in 2014 solidified his love and commitment to the gym and put into perspective just how impactful the gym and sport can be for troubled youth. Hernandez requires frequent training sessions, “someone like me, who is serious about fighting, needs every day of the week to train; they give me that opportunity here at Westside.” The opportunities for boxers is endless thanks to Westside’s commitment to bettering and providing a productive outlet for its community. Some kids the gym attracts live difficult lives, but Silvas and the Westside Boxing staff have created an environment that is, in his words, “like a beam of sunshine”. Westside Boxing is free for all athletes, Silvas is at Escape Ministries building for open boxing and training from 4-8 pm, Monday through Friday. Find their website at http://escape-out.org/westside-boxing/ .